Tailor made specific vehicles and stationary equipment for the aluminium industry. Modern, reliable, user friendly, environmentally friendly. Our products are used and appreciated in more than 40 Countries in this globe. 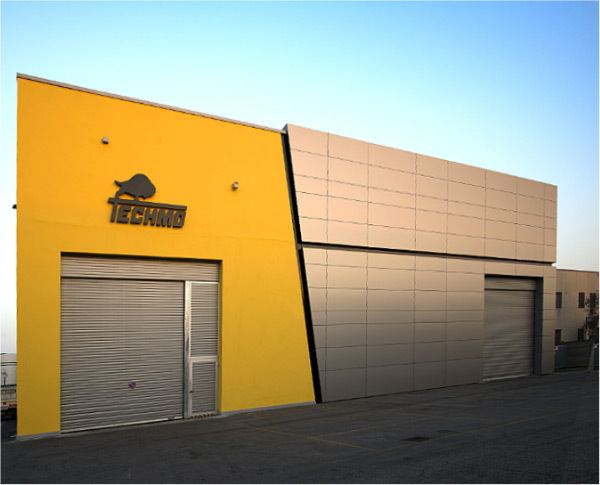 Founded in 1961, since more than 5 decades Techmo has set the lines in its specific industrial sector the production of high end mobile and stationary equipment for the aluminium and metal production. An unrivalled range of specialized vehicles to meet the requirement of every Customer, including the most demanding. Every piece of equipment is unique and personal, like a piece of Italian art. We at Techmo feel more comfortable when our Customers call us Partner in their ambitious projects. © Techmo Car S.p.A. Cod. Fisc./P. IVA IT00983740283 R.E.A. Padova n. 164916 – Cap. Soc. € 1.885.000,00 i.v. SOCIETÀ UNIPERSONALE sottoposta a direzione e coordinamento da parte della società Techmo S.r.l.